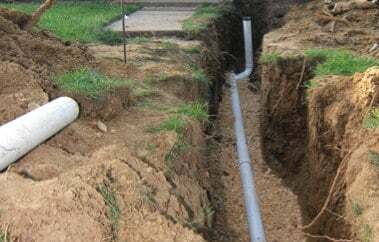 Curl Curl Plumbing are the leaders when it comes to local pipe relining on Sydney’s Northern Beaches, North shore, Inner West and Eastern suburbs properties. Our certified no dig pipe relining and blocked drains team has been servicing these areas and surrounding suburbs for over 15 years. If you have cracked or damaged storm water pipes, sewerage pipes, water mains pipes or any other sort of plumbing pipes anywhere in your home or commercial property call Curl Curl Plumbing today and let us explain what our pipe relining technology and process can do for you! What is Pipe Relining and Why Does Your Sydney Property Need It? 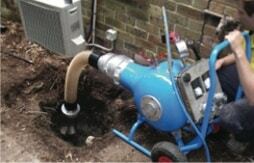 Pipe relining is a permanent repair of your broken drain pipes without excavation. 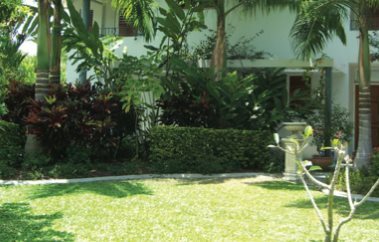 This NO DIG process of repairing your existing broken or damaged pipes saves your garden, drive ways and floors from being excavated. 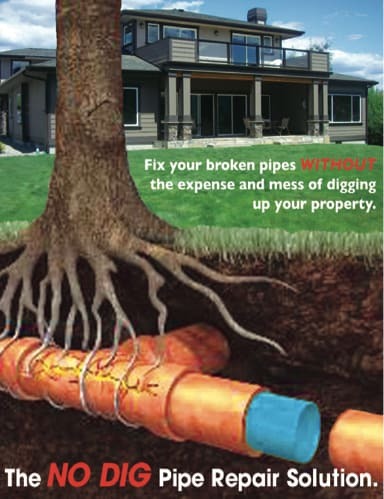 Up until very recently fixing or repairing cracked or damaged pipes due to tree roots or ground movement meant you needed to dig up the property and remove the old pipes before the decision was made to either repair or replace them. This process could take weeks and a lot of planning to achieve, meaning a lot of inconvenience and expense incurred during the process. These days, pipe relining Sydney residents are learning that the work can be undertaken to effectively make those old pipes as good as new without causing any damage to the surrounding property in the process. Identify the problem. Using CCTV drain camera to inspect the whole pipe and record the defective pipes locations. Put forward our recommendations for the best solution to solve the problem. Clean the pipes using high pressure water jetter to remove debris, grease and scale build up with in the pipe. Install the new liner into the pipe. Measure the length of the pipe to be relined. Set up the specialised equipment ready for installation. Mix the epoxy resin and soak the liner until the resin has covered the liner. Insert the liner into the pipe and cover over all the broken sections of pipe. Inflate the liner to the shape of the pipe and let the resin set for approx 3 hours. Remove the inner bladder and inspect the finished product with CCTV drain camera. The pipe is now like new and ready for use. It is stronger than it has ever been before with a 50 year life expectancy. 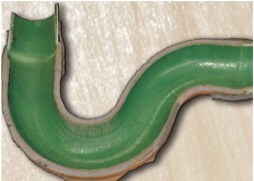 Inversion is a unique system which enables pipes to be relined from a single entry point. It can reline around multiple bends and stop at any destination point within the pipe. 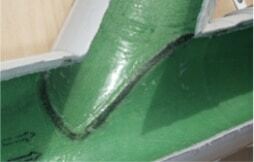 The lining has the structural strength to span the missing section of the original pipe. It can be installed on vertical & horizontal pipes in one continuous length for over 50 meters. Boundary Traps can be deep below the ground thus making them expensive to dig up. Now there is another way to fix that old broken, leaking boundary trap. This technology can SAVE you thousands of dollars associated with costly dig-ups. The liner is inserted through the trap. This forms a new inner skin that covers over all the breakages and bad joints. The finished product is a smooth transition through the trap that will be stronger than the old trap. This technology is state of the art when it comes to pipe rehabilitation. When junctions normally break they break on the horn of the junction and this only leaves 2 options. Option 1 dig up and replace or Option 2 Use the Junction inversion solution. It works by creating a sleeve that matches the dimensions of the existing junction. The finished product is a new water tight junction within the old. The Following Junctions can be relined. Why have your drains regularly blocked when you only have one trouble spot that the roots keep growing in? With pipe patching we can stop that forever. With an easy application we can insert a patch over the tree root infested pipe and stop them from growing in. Patches can be as small as 300mm in length and up to 1800mm long. This application is perfect where tree roots are growing in through an earthenware inspection point that is difficult to get to.